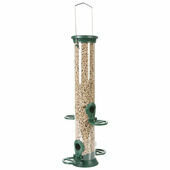 Ergonomically designed to provide birds with a safe, easy time whilst eating, the C J Wildlife Defender Seed Feeder has been made to ward against squirrels stealing the food left for the birds and is constructed using robust, durable materials to ensure its longevity. 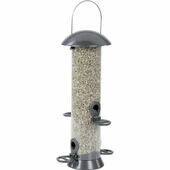 Fitted with perches that allow wild birds to feed comfortably and in a position that faces forward, this wild bird feeder suits the natural feeding behaviour of birds and is able to feed up to four of them at any one time. 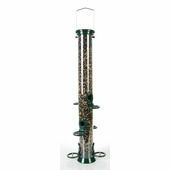 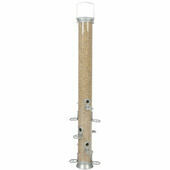 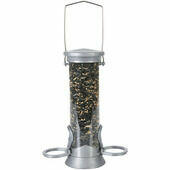 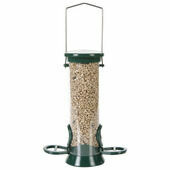 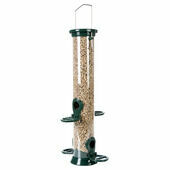 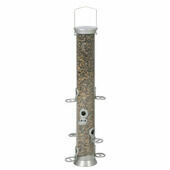 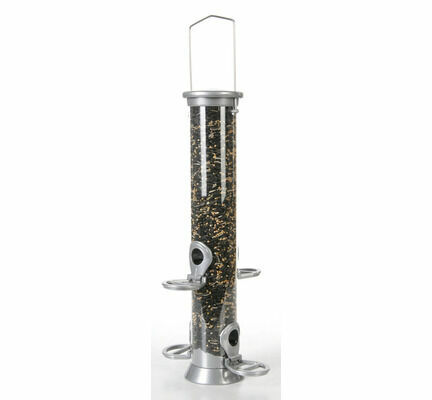 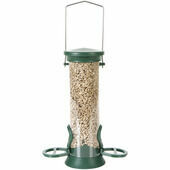 Capable of being fully dismantled so that it may be thoroughly cleaned, the C J Wildlife Defender Medium Metal 4-Port Bird Seed Feeder also features a plastic centre tube made from UV-stable polycarbonate, which is renowned for being a sturdy, durable material that will not easily become damaged by weather or forceful impacts.